Come Experience More Than Great History at Heritage Square! Have you visited Heritage Square yet? 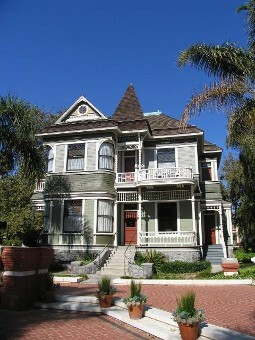 Heritage Square began in 1985 as a vision to preserve the historical and architectural uniqueness of turn-of-the-century Oxnard. It officially opened in 1991. Through the commitment of some of Oxnard’s original families, other investors, and the City of Oxnard, eleven homes, a church, water tower, pump house and storehouse have been moved to a single block and restored to their original condition. Serving the community as an event and cultural center and major tourist attraction, Heritage Square houses over 25 businesses including a Restaurant, Wine Tasting Room and a Visitor Center/Gift Shop.